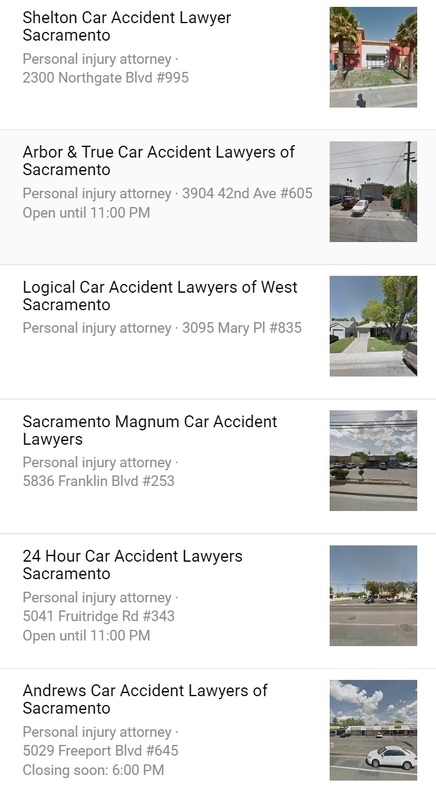 Starting in October 2018, Google My Business got hit hard with spam in the personal injury attorney niche. I was made aware of this by one of the law firms that I work with. After they told me they had spam in the local pack, I began looking at other cities. Sure enough, the same exact spam is in several cities all across the United States. In fact, there are two separate outbreaks taking place and they’re caused by two specific lead gen companies. I have tracked down both lead gen companies and spoken to attorneys at law firms who are in these cities who use the lead gen companies and attorneys who are competing by playing by the rules. Below I’ll share some screenshots, observations and what Google isn’t doing about it. 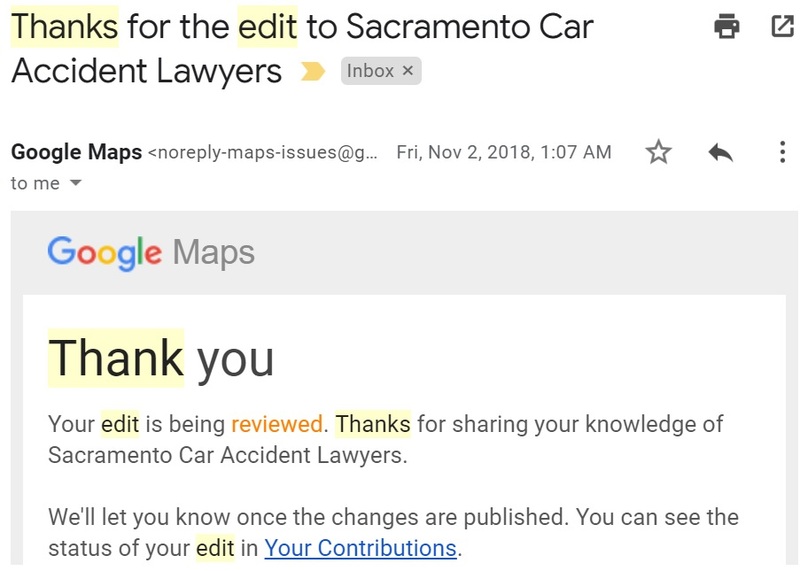 The first company who has been spamming since sometime in 2018 focuses on keywords which generate “local packs” aka maps results in Google Local search or in Google Maps. 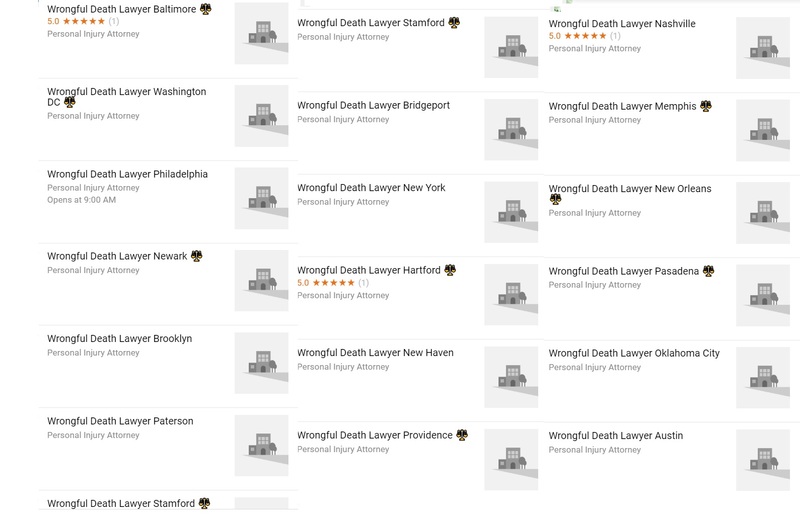 Here are some of their spam listings for “motorcycle accident lawyer”. What’s funny about this is that really not a whole lot of people type this keyword in. Is it enough to make money on? Probably. That’s because this lead gen company sells… leads.. I am not going to name this company in this article (yet) but I will say that they’re called ***legal.com. If you work at Google and would like this information just let me know. I am not big on “outing” people but this is just stupid. The addresses are always bogus with all of these spam listings. There’s more than one way to ask Google My Business to delete listings, but the easiest method (and the one Google recommends to the general public) is to flag the listing as either spam or “doesn’t exist”. With this amount of spam, someone is going to have to take action soon. With so many good SEOs and “Local Guides” willing to police this and report the listings, if GMB were properly staffed they’d be able to delete the listings. This is not a problem at Yelp. Personally, if this were my company, I’d be on employees to fix this immediately, or, in some cases, this definitely merits firing. There’s just no excuse to let 2 little companies get away with this. For some home service based companies (locksmiths, HVAC, plumbers) it’s become a pay to play local pack. I do not think that is fair, especially since there are literally hundreds of people willing to police this, and only two companies spamming it. But, Go0gle My Business has became a big old dumpster fire lately – companies are running rampant getting fake reviews. Even these fake listings have fake reviews! 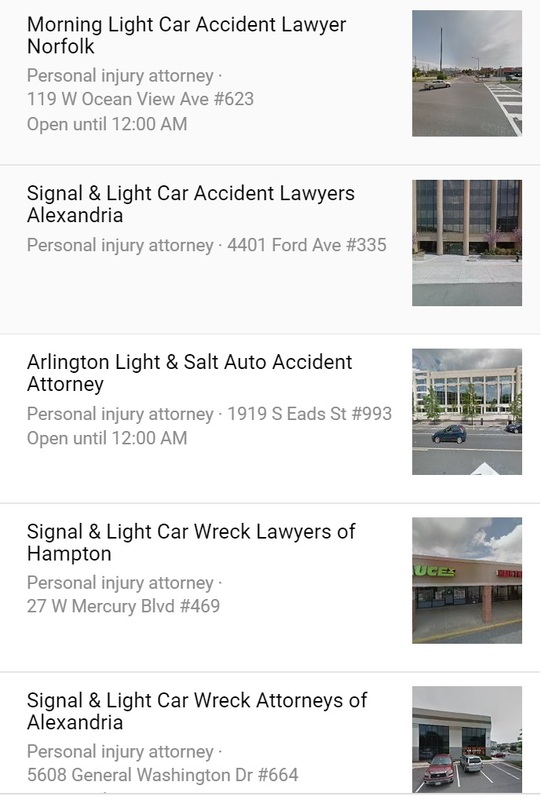 I have personally verified 2 companies are spamming up attorney’s local search results. 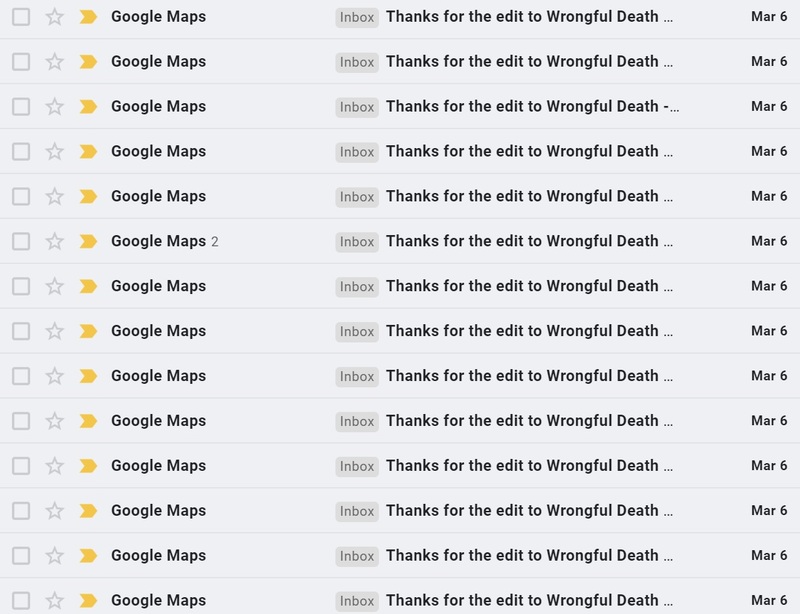 Google is ignoring everyone who is turning the spam in and leaving it live.